Mirelite Mirsa has bought a top-of-the-range Ishida CCW-RV multihead weigher to pack its range of frozen vegetables and fruits. The machine has the flexibility to handle target weights from as little as 10 g to as much as 1 kg with just one multihead weigher whilst consistently achieving levels of accuracy to within 0.3 g on 10 g packs of dill and 2 g for 400 g bags of vegetables. The CCW-RV-214 is operating in conjunction with a GEA bagmaker, working two eight-hour shifts. Mirelite Mirsa says it has since improved overall efficiency levels by around 25% whilst for its best-selling lines, such as 400 g bags of green peas and corn kernels, efficiency (in single shift operation) has increased by 35%. 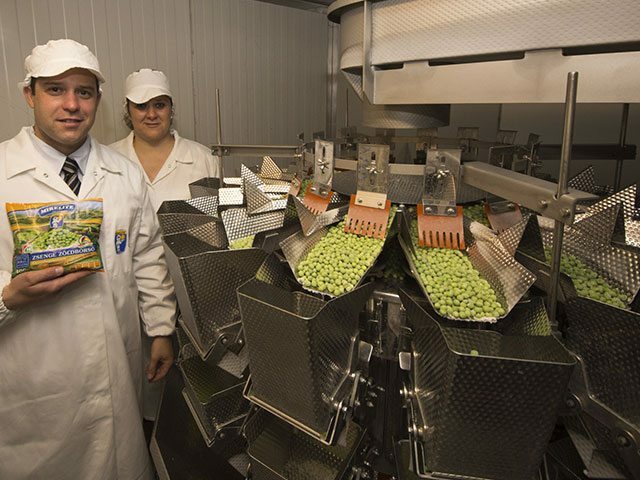 A second Ishida weigher at Mirelite Mirsa incorporates special parent and child software that provides both weighing and counting functions in one machine, with the weigher capable of depositing a single fresh tomato into bags of frozen mixed vegetables.